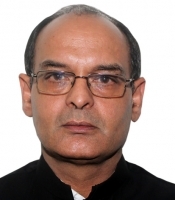 Sanjay Bhatia, a Mechanical Engineer and an MBA from Southern Cross University, Australia is Secretary Rank Indian Administrative Services officer with 34 years' service at senior levels in Government of India. He is presently the Chairman, Mumbai Port Trust as also the Chairman, Indian Ports Association, an Association of all 12 Major Ports of India. He is a preceptor of Heartfulness Meditation and practicing meditation for last seventeen years. He has held important portfolios in Government of India organizations and brought reforms in these organizations. He is conferred with many awards for distinguished services.